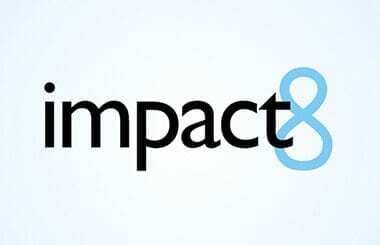 The MaRS Centre for Impact Investing launched the Impact8 initiative last year because we saw a broad spectrum of potential opportunities for impact. There was the opportunity to grow the pipeline of investible opportunities in impact investing, the opportunity to help social entrepreneurs navigate the ecosystem of support and financing options, the opportunity to accelerate innovative and sustainable solutions to big challenges, the opportunity to focus on the ‘missing middle’ by targeting ventures transitioning from early to growth stage – the potential was as staggering as the length of this sentence. After a collaborative application process that involved 147 applicants for our first cohort, we chose our first eight ventures and embarked on an amazing journey culminating in Impact8 opening the TSX and a very successful Demo Day. As we worked, learned and grew together, our first cohort was nothing short of fantastic. While SunFarmer took the top prize of $15,000 in the end, all of the ventures ironed out the wrinkles in their business plans and drastically improved their (peer-rated) evaluation scores by the end of the program. They have also made the most of their access to the Centre for Impact Investing. Three of them – Detailing Knights, Grantbook and Lucky Iron Fish – are now certified B Corps. A handful are going through the SVX process – stay tuned, there will be more on that soon! And three of them – Grantbook, Lucky Iron Fish and Local Buttons – pitched for investment at ImpactOntario. This time around we’ve moved toward a sector-focused model, adding more value by bringing together entrepreneurs working on related social outcomes. To that end, the Spring 2014 cohort focuses on innovations that empower individuals to take control of their health and well-being, enabling them to live and age well at home and in the community. The cohort will be supported by a unique partnership with Saint Elizabeth, a national health innovator and provider. Saint Elizabeth will provide resources, mentorship and potential partnership opportunities to the ventures as they grow their social purpose businesses for wider social impact. Eve Medical Inc., which improves health outcomes for women by enabling self-collection of high quality samples to screen for cervical cancer, as well as other STIs. Good Robot Monitoring Inc., which uses networked smart home technologies to support seniors who wish to live independently in their homes. Komodo OpenLab Inc., which develops inclusive technologies to enable access to mainstream mobile devices for individuals with mobility impairments. The Living Kitchen, a collective of holistic nutritionists and personal chefs that provide a nutritionally designed meal delivery service for cancer patients. My Voice Inc., which makes technologies that empower people with speech disabilities to communicate and lead richer, more independent lives. QoC Health, which leverages emerging technologies to improve the relationship between patients and care providers by enabling patients to more easily participate in their own care. Shift Health Paradigms Ltd., which aims to break down the communication barrier and comfortably prepare patients for visits while collecting relevant data for physicians, resulting in more efficient and effective face-to-face interactions. Squag Inc., a safe online platform for kids with autism, ADHD, anxiety and other neurodevelopmental conditions to explore their interests and cultivate strengths through art, photography, video and journaling. We are ecstatic to have the opportunity to work with these innovative ventures to unlock their impact and growth potential. Stay tuned for more!